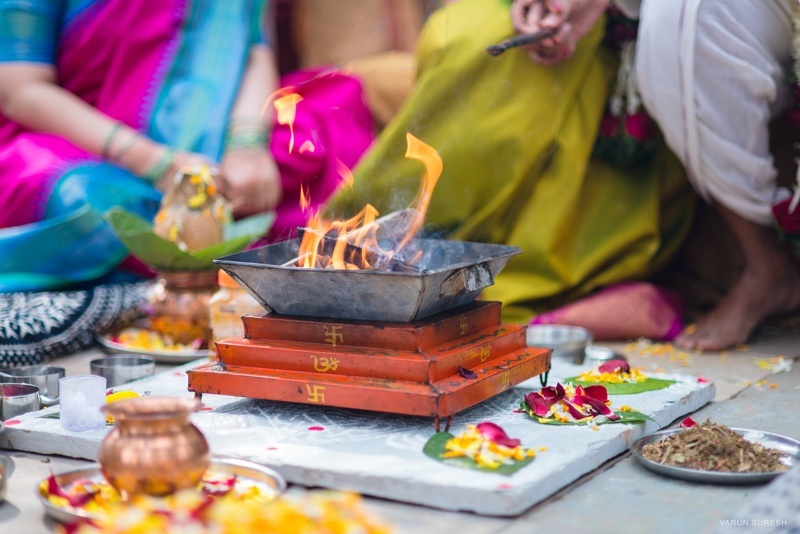 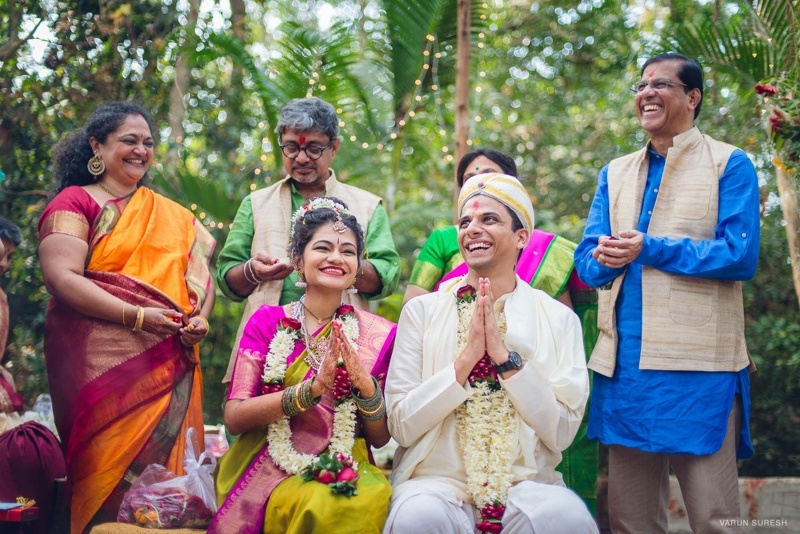 Adithi and Varun's story spans a decade. 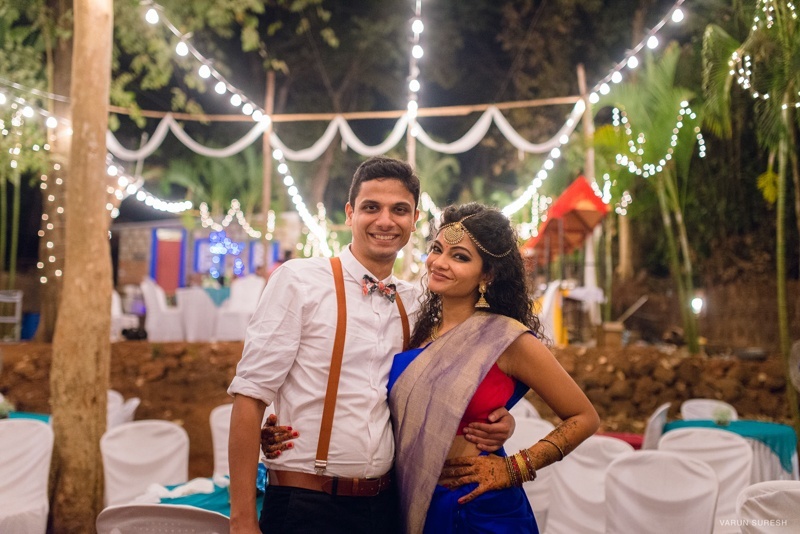 A decade of good and bad times and plenty of roadblocks. 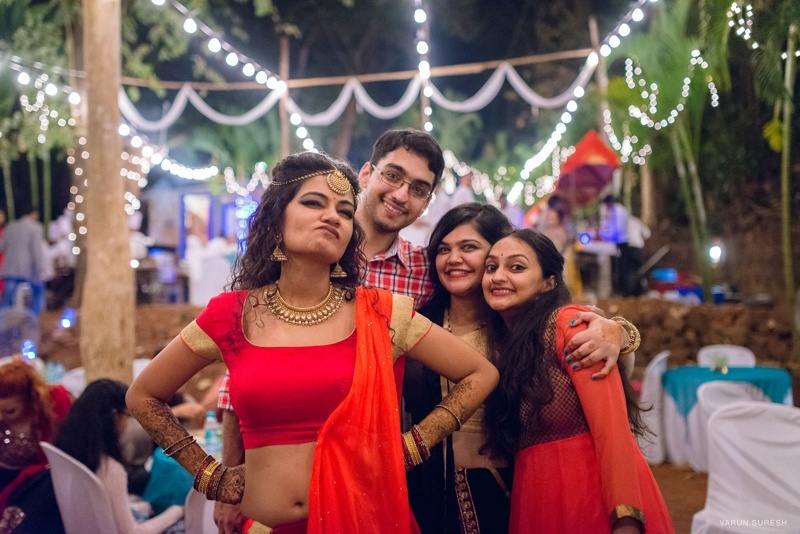 But contrary to what people say about letting go of things, they decided to hold on to each other and people around them. 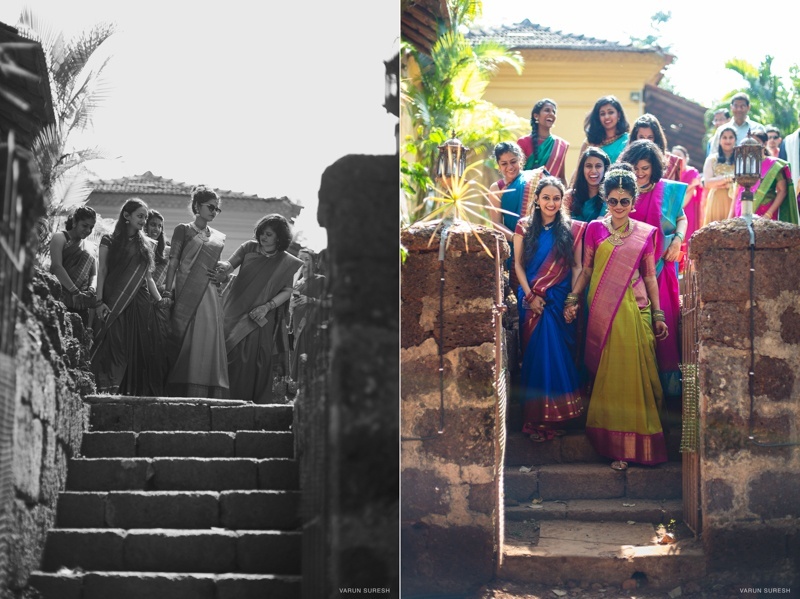 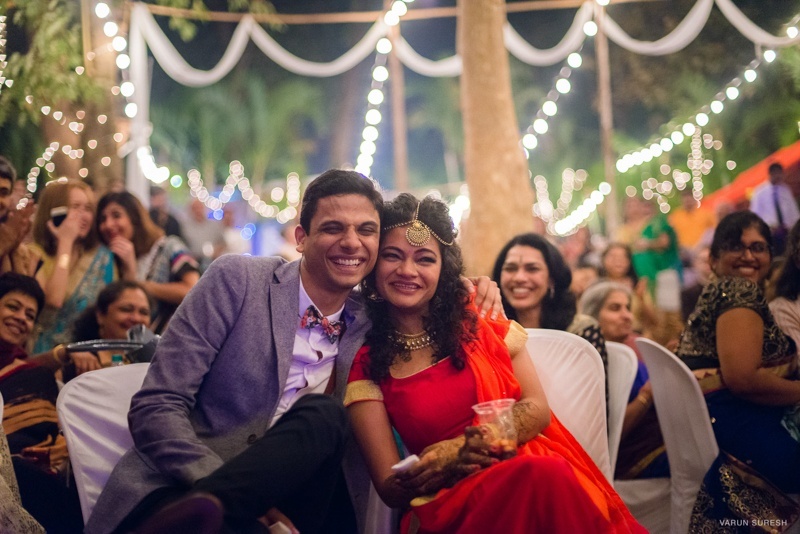 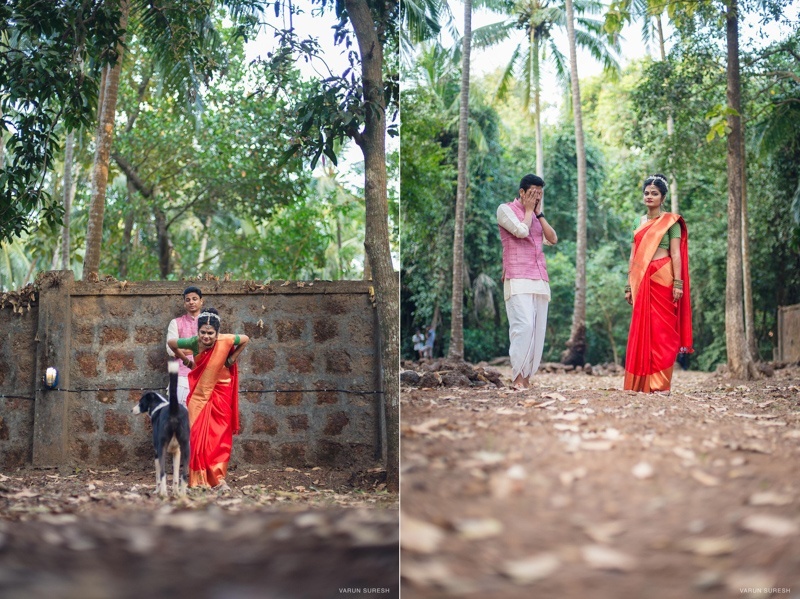 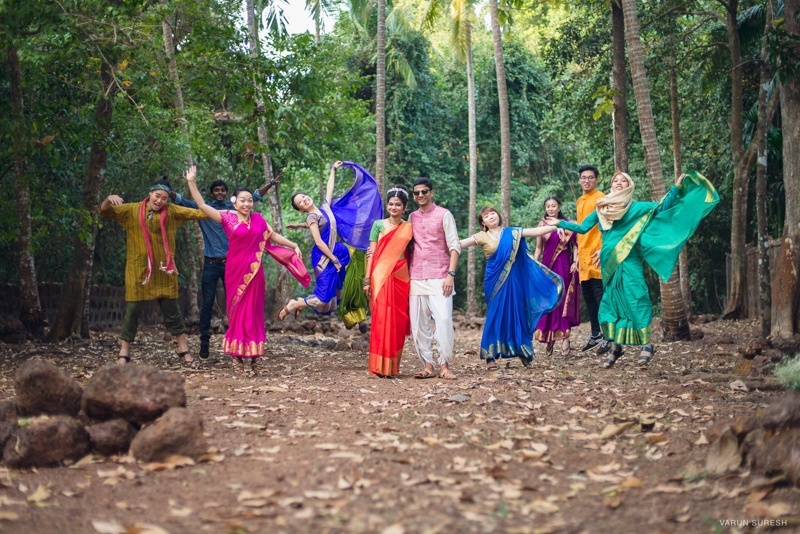 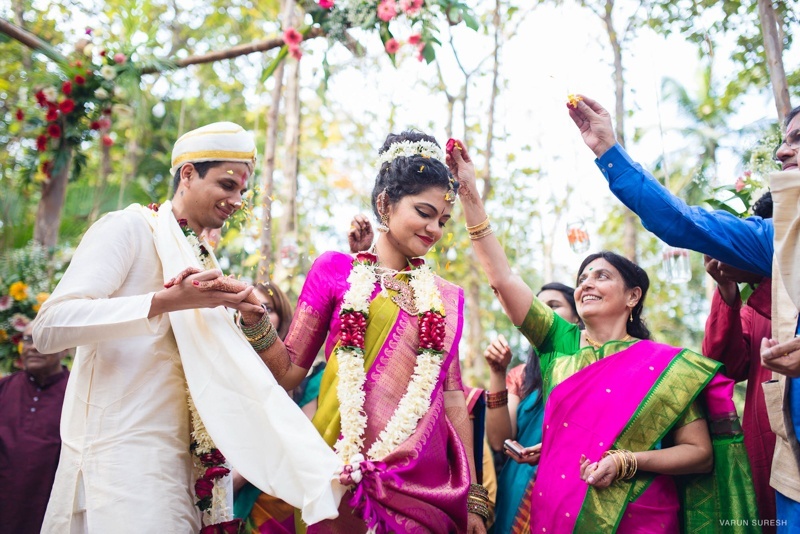 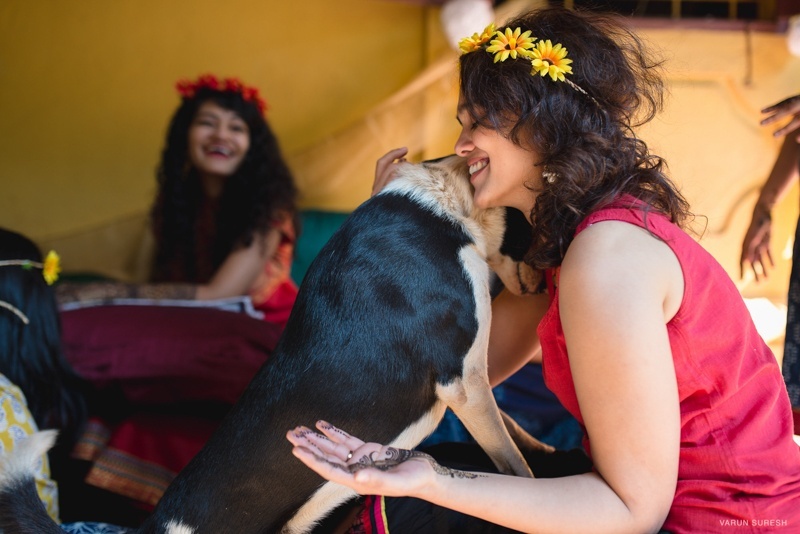 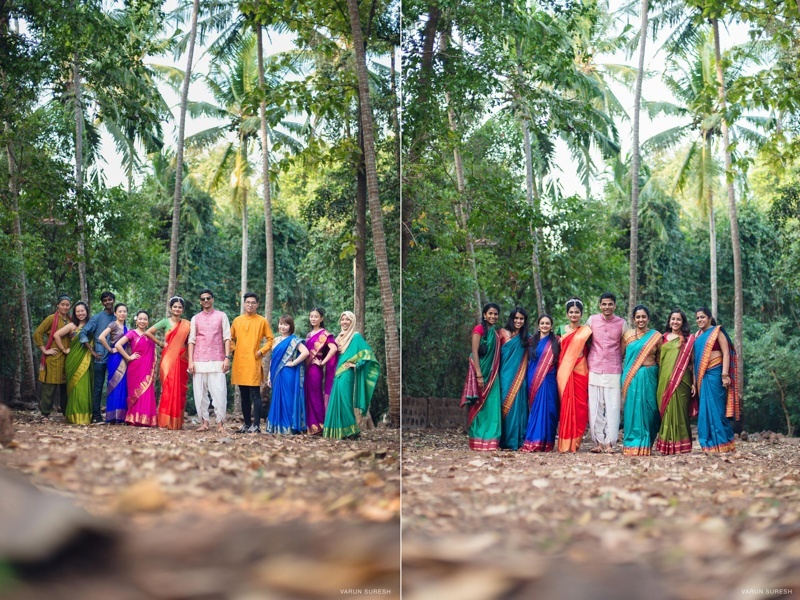 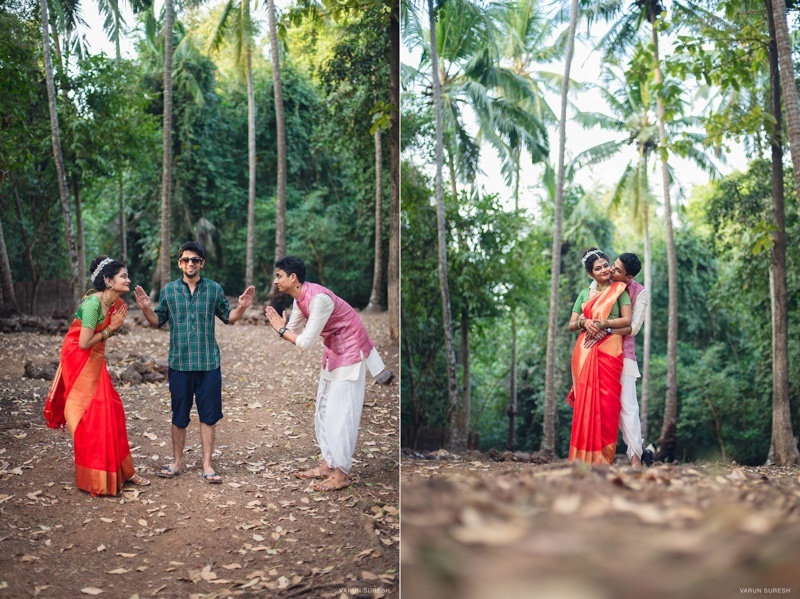 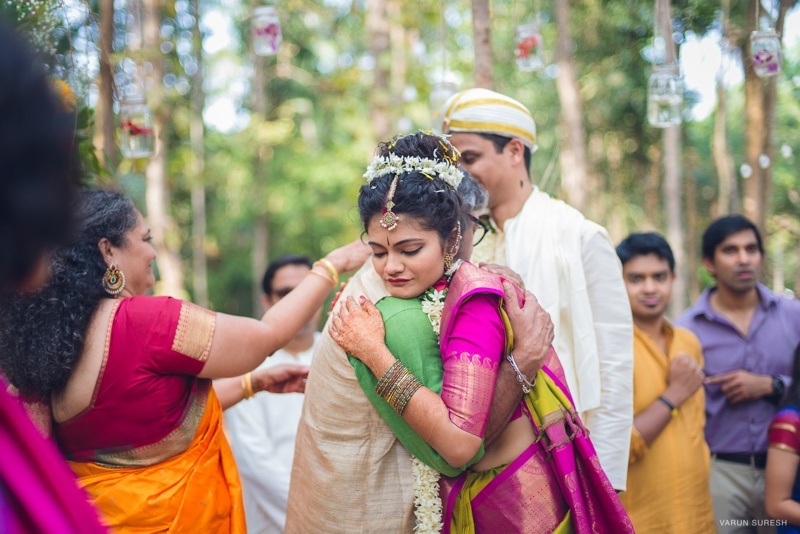 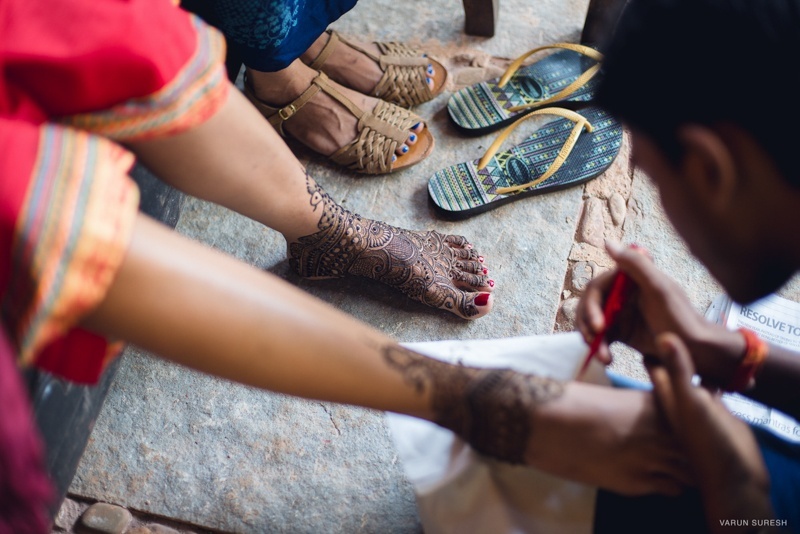 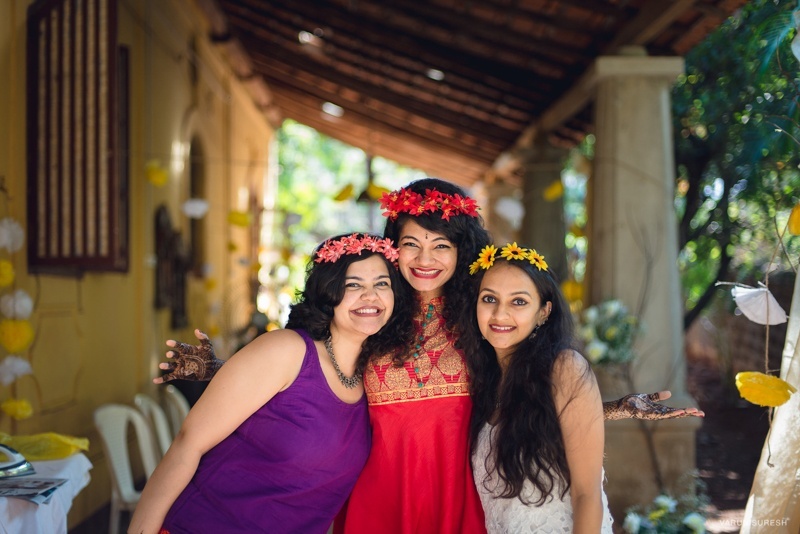 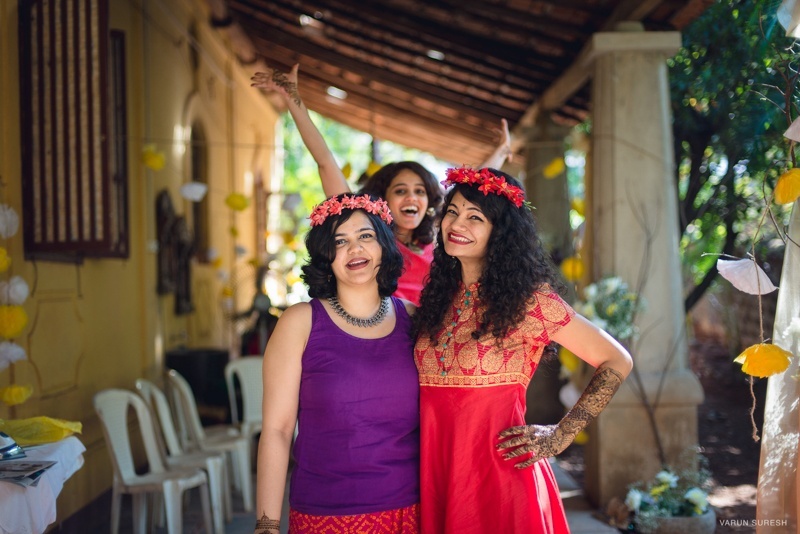 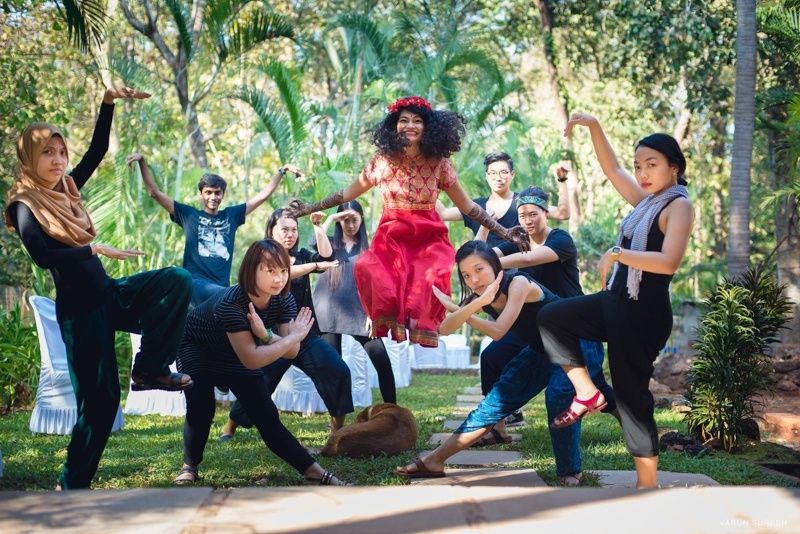 Now, because they chose not to let go, they pulled off a forest wedding in the backyard of one of those beautifully rustic Goan villas. 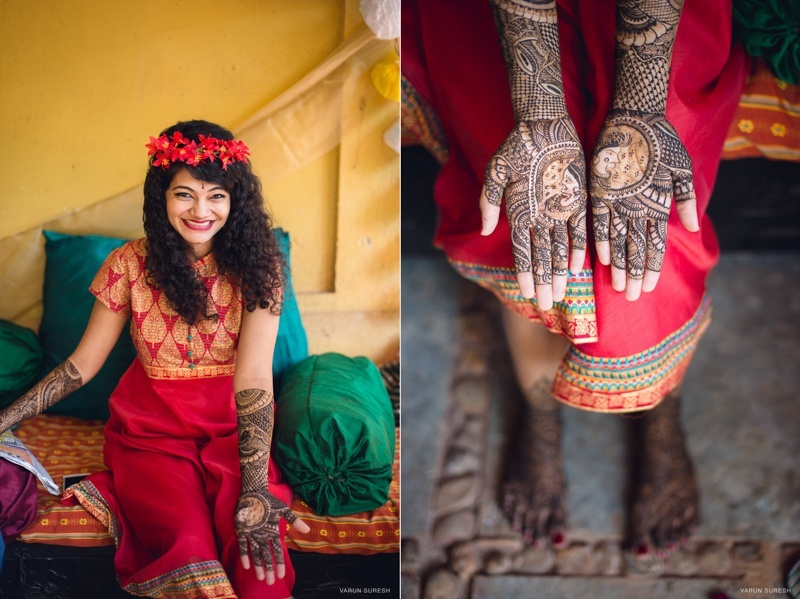 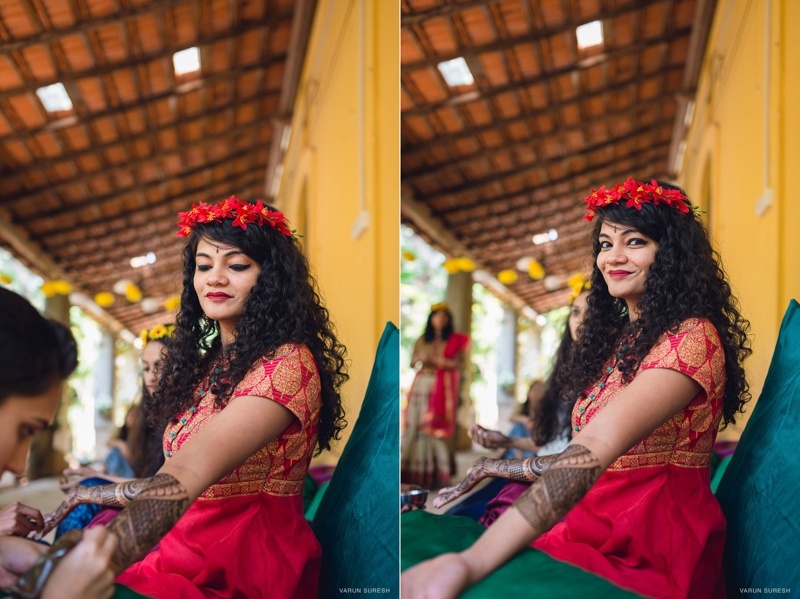 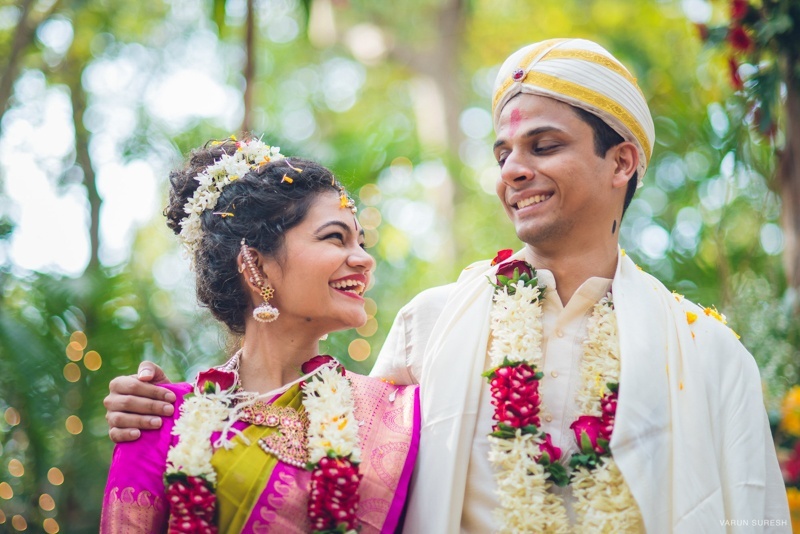 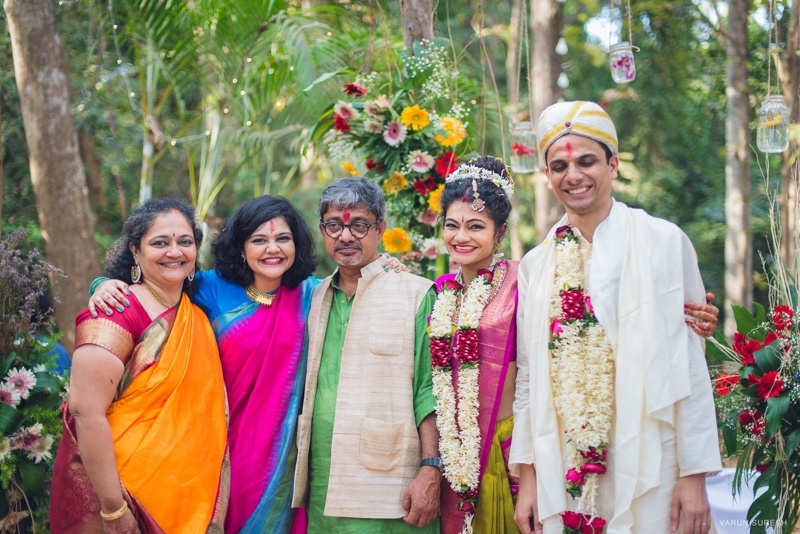 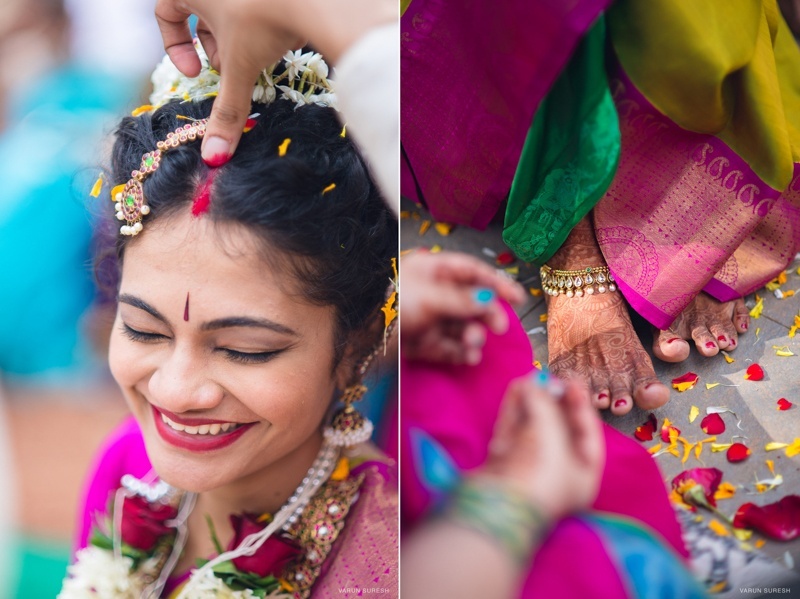 Adithi celebrated her Mehndi function at the same venue with a fun-filled set of her near and dear ones, donning on a red kurta with gold details and a matching floral headpiece. 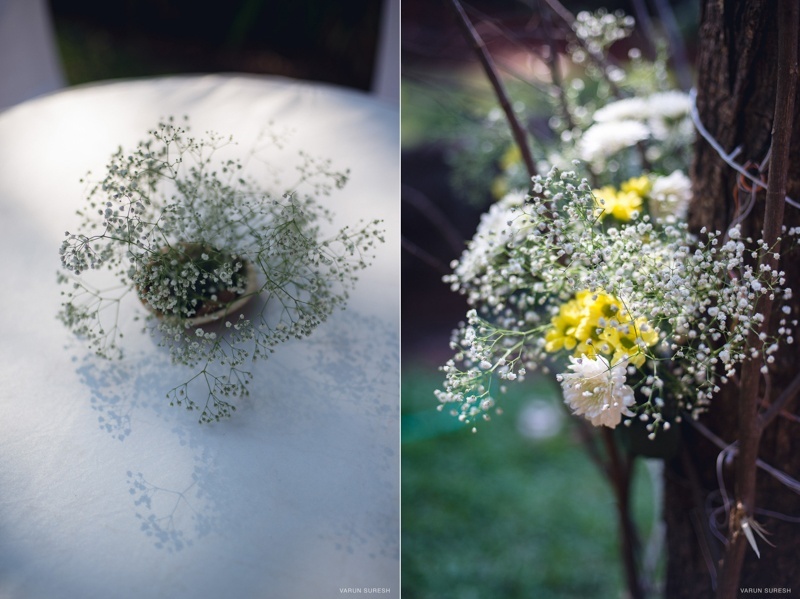 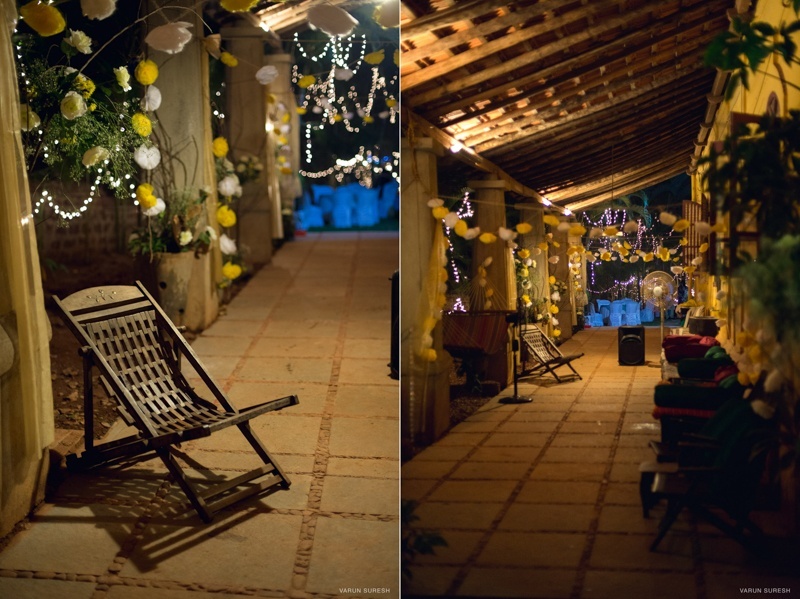 The villa was decorated in floral strings of yellow and white that complimented the bride-to-be’s choice of attire. 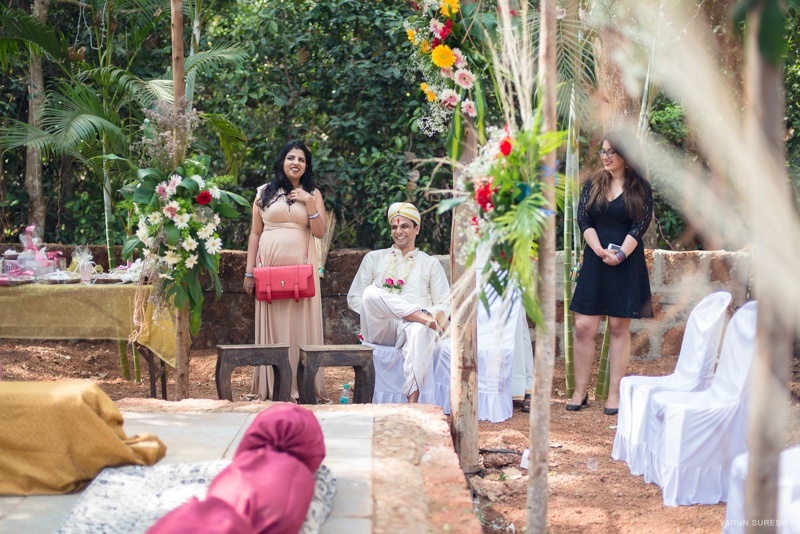 The wedding that followed had just as much of a cheerful air about it. 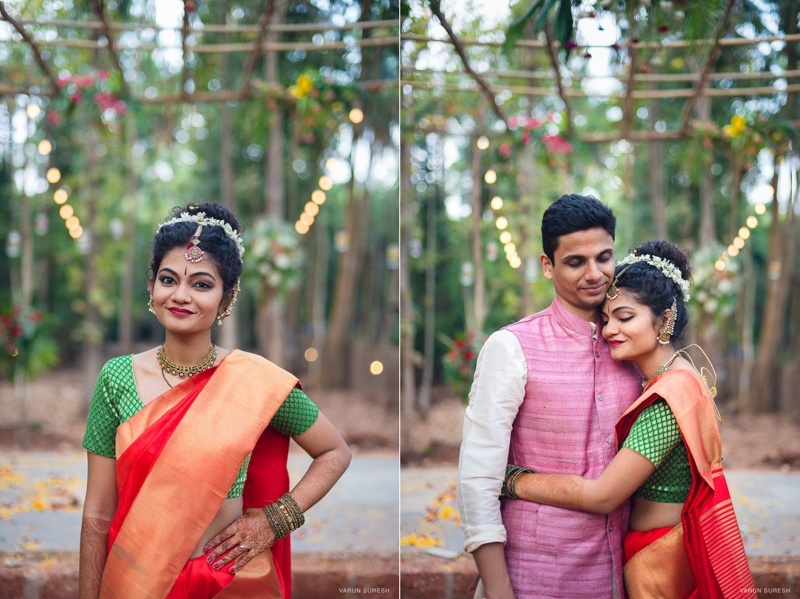 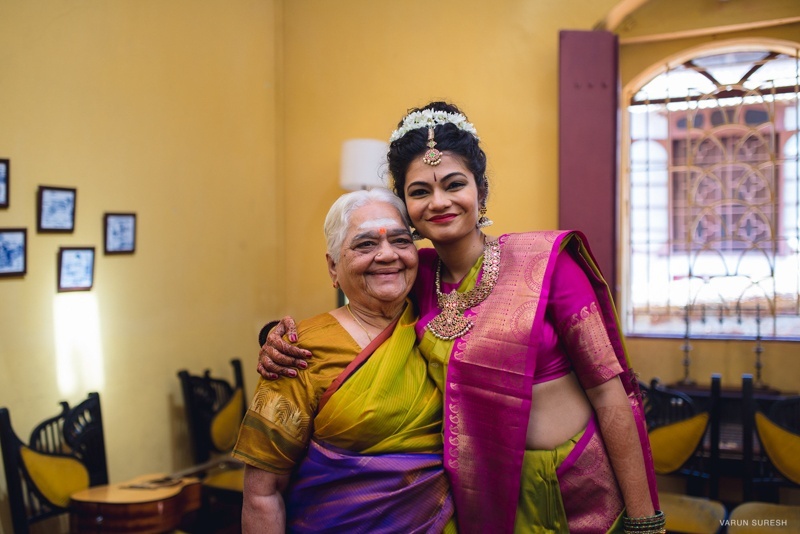 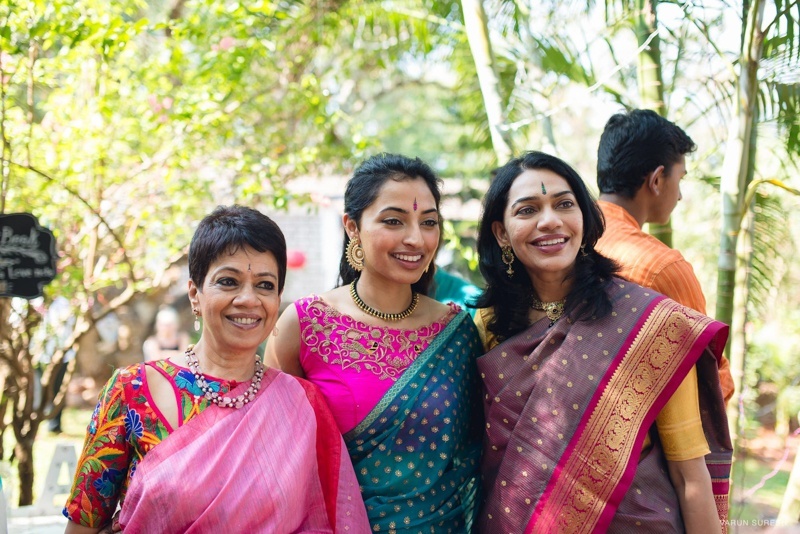 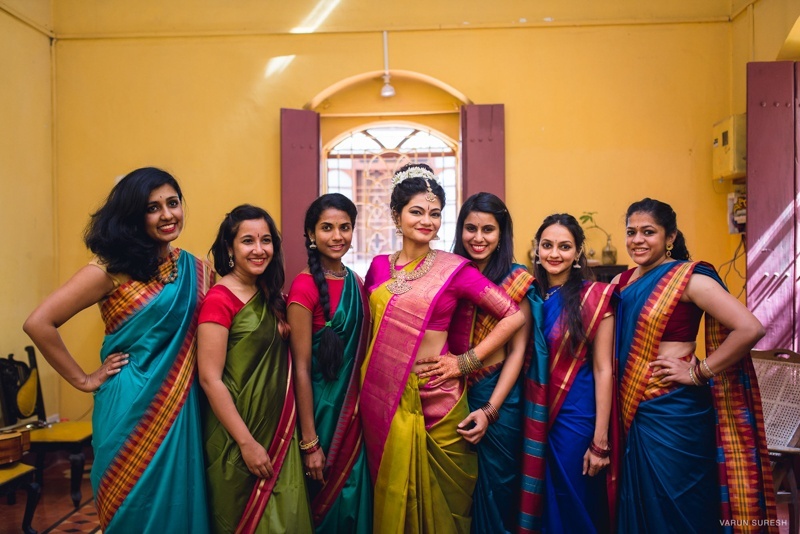 Adithi looked gorgeous in a pink and lime-green saree which she accessorized with minimal jewellery and floral hair adornment. 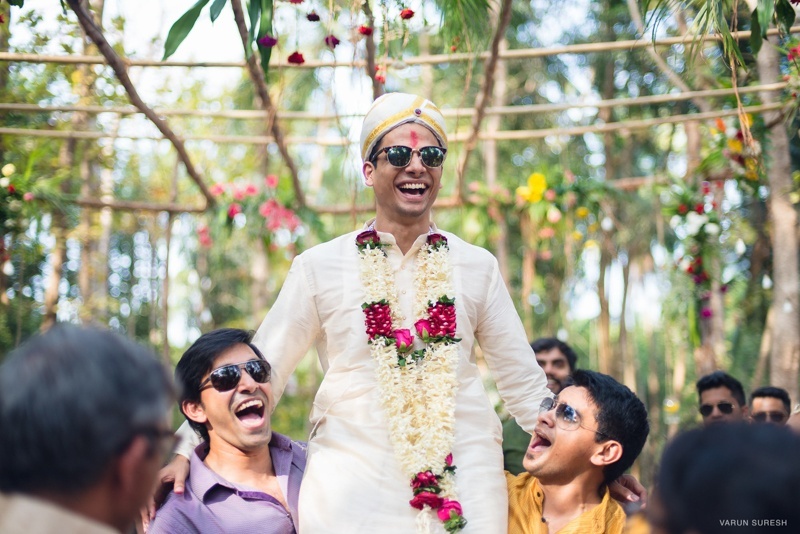 Our groom looked no less dashing in a simple, white ensemble paired with a pink bandhgala. 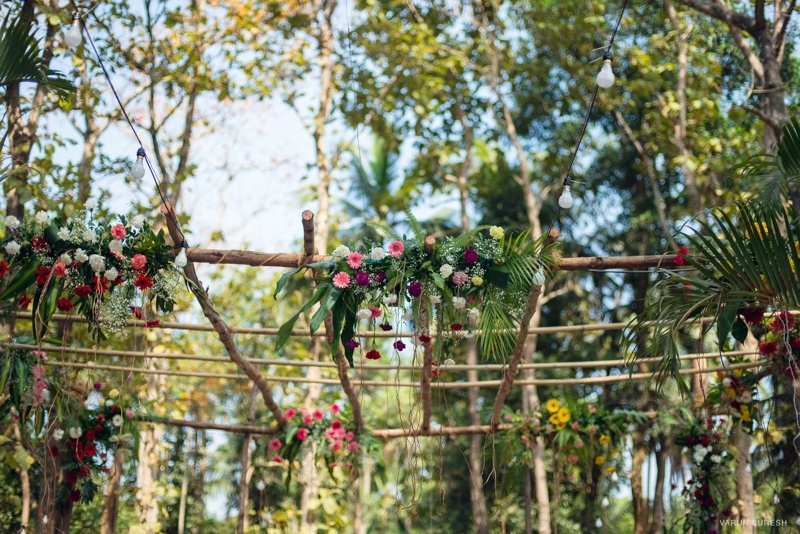 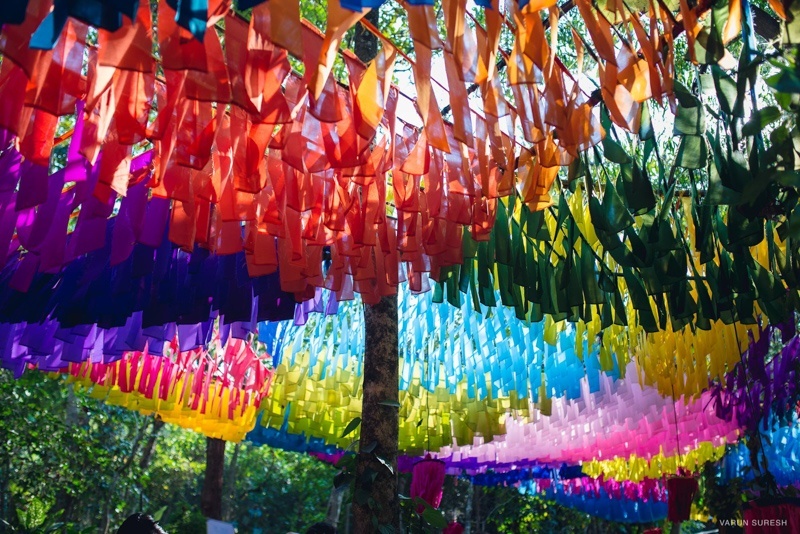 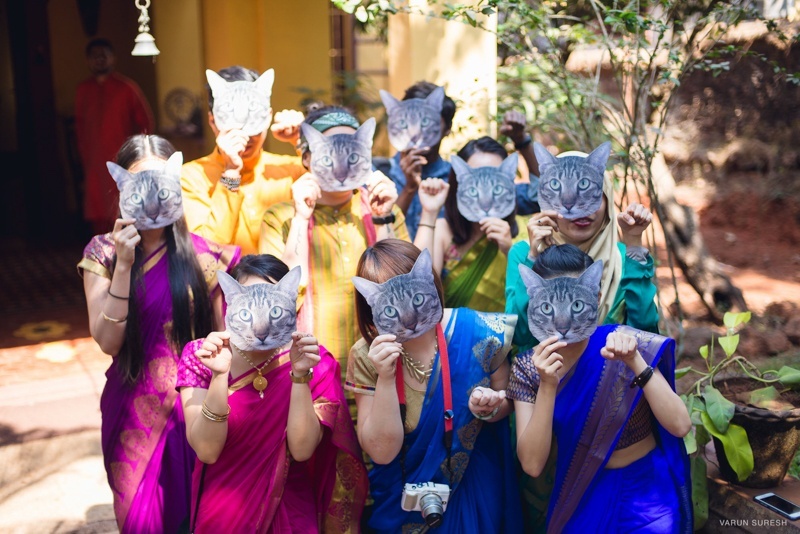 What we loved about the wedding is certainly the brilliant décor. 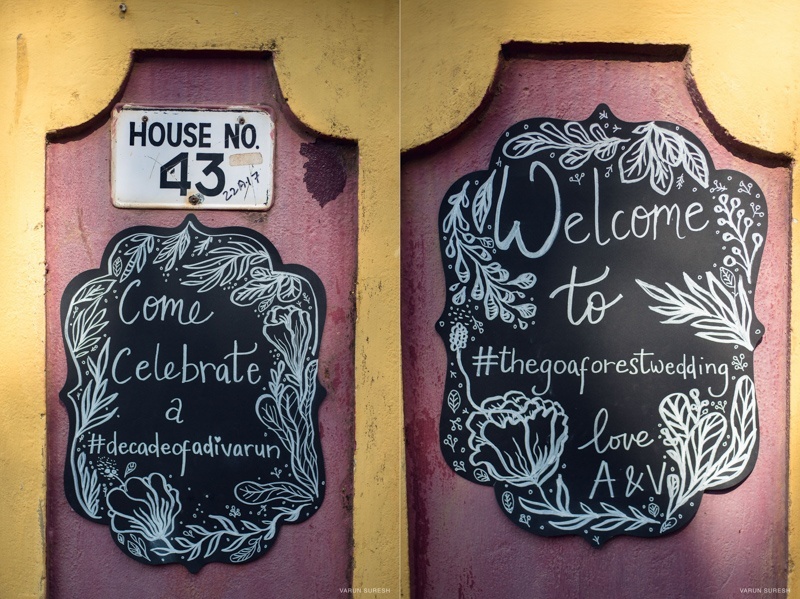 From the chalkboard signs, to wonderfully decorated floral arrangements to colourful origami that made the entire venue so much more vibrant, it was just perfect for a contemporary wedding couple with a fun side. 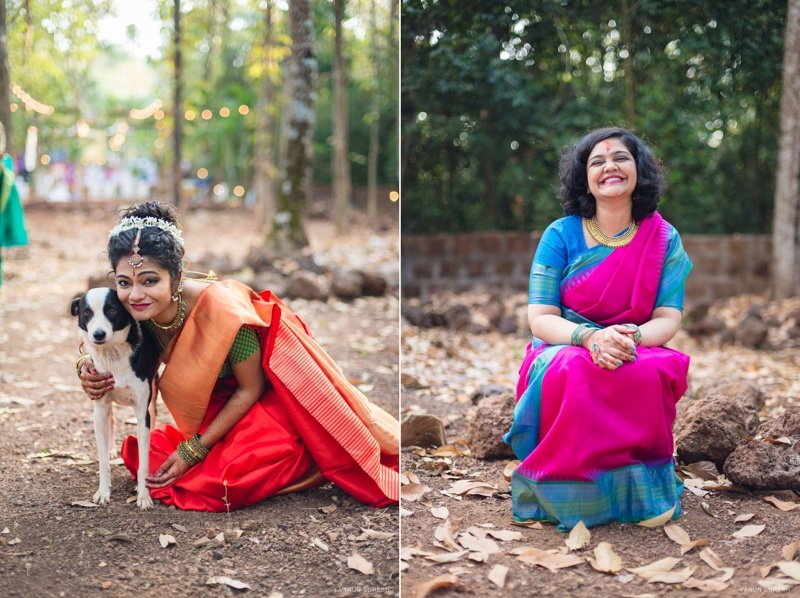 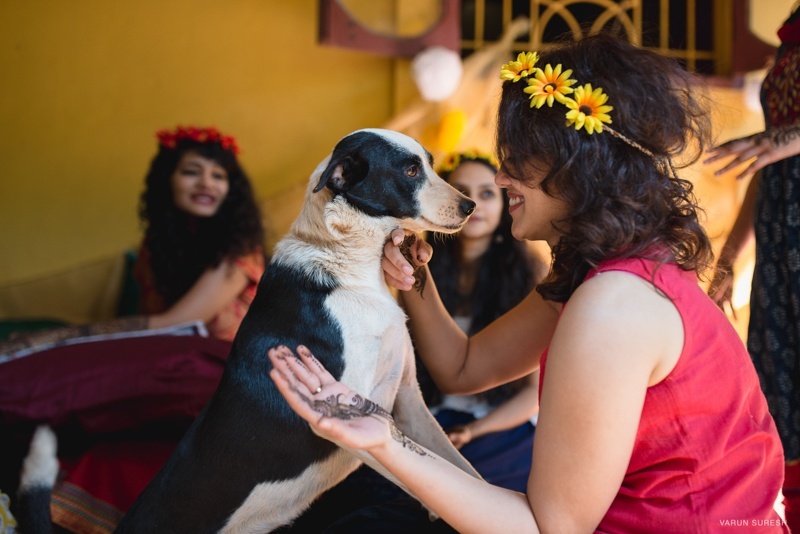 Look out for the cute li’l doggy that graced the pictures adorably!